Toronto is home to a growing number of freelance contractors, many of whom are enjoying the upsides of the gig, like being able to make your own hours and working from the comfort of your home in your underwear. If working in your undies simply isn’t cutting it, perhaps it’s time to re-situate. So, put on some pants, pack up your various chargers, and head on over to any one of these telecommuter-approved venues–none of which are Starbucks and all of which are free. Toronto Reference Library. Coffee shops seem to be something of a go-to impromptu workspace for students and telecommuters, but if you’re not in the mood to dole out the high cost of a Toronto cuppa in return for Wi-Fi, you can leech for free at the Toronto Reference Library, which occupies 416,000 square feet of prime real estate at Toronto’s Yonge and Bloor. 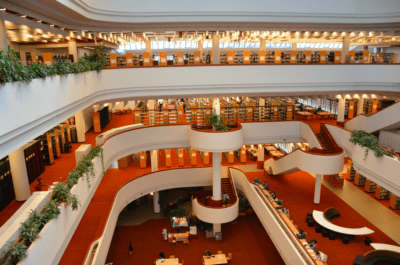 And while free wireless internet access is available at all library branches, there’s no library quite like Toronto Reference Library, which was extensively revitalized by Moriyama & Teshima Architects to include study pods and The Writers’ Room, amongst other impressive features. Toronto Music Garden. If patrons had to describe the Toronto Music Garden in one word, it would probably be “enchanted.” This commendation refers not only to the garden’s unique and poetic design (inspired by Bach’s First Suite for Unaccompanied Cello) but also to the free, classic performances hosted by the venue during the summer months. If you’re on the hunt for a peaceful oasis within the city, off-season at the Toronto Music Garden might be right up your alley. Toronto City Hall Podium Green Roof. Located just steps away from bustling Nathan Phillips Square, Toronto City Hall might seem like an unlikely place to seek quite refuge, but not if you know the right places to look! The Toronto City Hall Podium Green Roof was opened to the public in 2010, boasting approximately 3,250 square meters of vegetation and plenty of furniture and shaded spots. In addition to servicing the public, the Green Roof incorporates a retention system for rainwater and provides much-needed habit for Toronto’s indigenous birds and insects. Aga Khan Park. 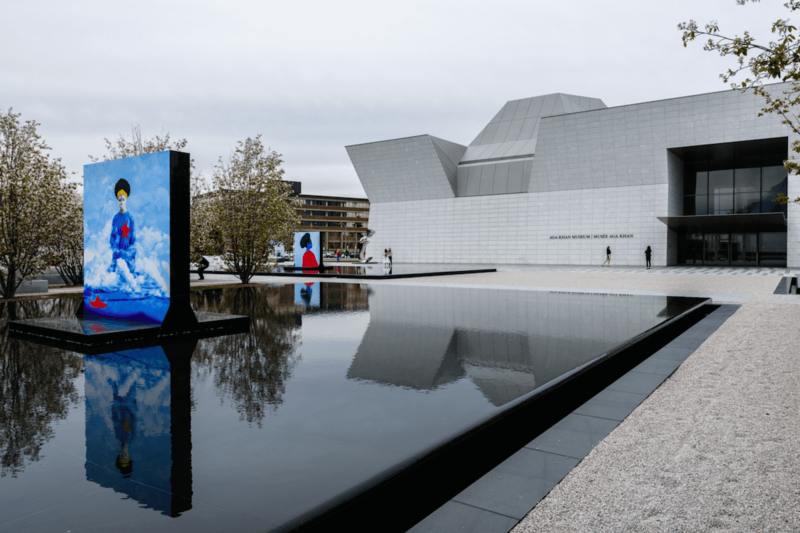 The Aga Khan Museum offers an artistic, intellectual and scientific experience to its patrons, with this enticing feature to boot: the picturesque Aga Khan Park. Located between the Aga Khan Museum and the Ismaili Centre, the Aga Khan Park is open to the public daily from dawn to 10:00 p.m., between the months of April and October. Between November and March, the park welcomes guests from dawn to dusk. Visitors of the garden are privy to five reflecting pools carved from black granite, as well as a host of scenic greenery. If you manage to snag a museum-adjacent seat, the serenity is yours to soak up.